Here's another in my series of 'Best' historic British attractions. So far I've covered stately homes, castles, and stone circles. Now its the turn of medieval monasteries. These are my favourites out of the monasteries I've had the pleasure to visit (until now)! Technically some of these medieval sites are abbeys or priories, but I doubt that such a distinction matters much to anyone outside academic circles. 10. Cleeve Abbey - Somerset. Clleve is unique in England in that so many of the original monastic buildings have survived relatively unaltered. The abbey remains include a superb gatehouse, a largely complete cloister range, a refectory with a superb roof ornamented with angel carvings, and a 'painted chamber' featuring medieval wall paintings. 9. Tintern Abbey - Gwent, Wales. Tintern was the first Cistercian house in Wales. What really makes Tintern such a great place to visit is the setting in a beautiful valley beside the River Wye, which is gloriously bedecked with wildflowers in Spring. By the Dissolution of the Monasteries, Tintern was the richest monastery in Wales. 8. Whitby Abbey - Northumberland. The dramatic ruins of an Early English monastery stand atop high cliffs overloooking the harbour of Whitby. The abbey was the site of the 7th century synod of early bishops which decided the supremacy of Roman Catholic Christianity over the Celtic church in Britain. 7. Lindisfarne Priory - Northumberland. Lindisfarne Priory was founded by St. Aidan in the 7th century on Holy Island, reached only by a causeway from the Northmbrian mainland. The exquisite illuminated manuscript known as the Lindisfarne Gospels was written here about 698 AD. The monks of Lindisfarne fled the priory after repeated Viking attacks, and it was not until the 12th century that the priory was re-established. It is the ruins of these 12th century buildings that you can see today. 6. Dryburgh Abbey - Scottish Borders. This peaceful abbey is located in glorious wooded countryside beside the River Tweed. The abbey was founded in the 12th century by the Premonstratensian order. The grave of author Sir Walter Scott lies in the north transept. 5. Bayham Abbey - Kent. Described as "The Fountains of the South", for its delightful setting. Bayham was an early 13th century Premonstratian house with later 13th century additions, including wonderful decorative sculpture. 4. Battle Abbey - East Sussex. Battle Abbey marks the spot where the Battle of Hastings was fought in 1066. William the Conqueror had the abbey built in 1070 to commemorate his triumph, with the high altar built where Harold of Wessex was killed. The abbey is entered through an imposing 14th century Great Gatehouse. 3. Glastonbury Abbey - Somerset. Legends tell that the earliest church at Glastonbury was founded by St. Joseph of Arimathea in about 60AD. By the late medieval period Glastonbury had become the richest abbey in England, due primarily to the great numbers of pilgrims who flocked here. 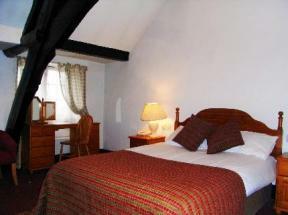 Well-to-do pilgrims stayed at a purpose-built hostellry, now the George Inn, on the nearby High Street. The old Abbot's Kitchen survives, and in the abbey grounds are the reputed graves of King Arthur and Queen Guinevere. 2. Rievaulx Abbey - Yorkshire. Rievaulx (a Norman misunderstanding of "Rye Vallis") is set in beautiful woodlands. The abbey was at one time the largest and most important in England. The church still stands to three stories in height, supported by superb Early English flying butresses. Above Rievaulx is the National Trust's Rievaulx Terrace. 1. Fountains Abbey- Yorkshire. It is easy to see why Fountains Abbey draws so many visitors each year; It is the yardstick by which all other medieval monasteries are measured. At the centre of this lovely World Heritage Site are the ruins of a 12th century Cistercian monastery, which became one of the largest and richest houses in Britain. The tower of the church stands to 168 feet in height, while the vaulted undercroft is a medieval architectural gem. A short walk from the abbey ruins is Studley Royal water garden. And my usual disclaimer applies - there are dozens of wonderful monasteries to visit that are not on this list, and if you ask me again next week I'd likely list a diffferent 10! I'll add a special mention for Iona Abbey, which is an absolute delight to visit, but is not a surviving medieval monastery but a modern reconstruction of the historic abbey on this site. And for sheer remote beauty and atmosphere it is hard to beat Oronsay Priory, on the tidal island of Oronsay, off Colonsay. These organizations look after most of the historic monasteries in their respective countries. 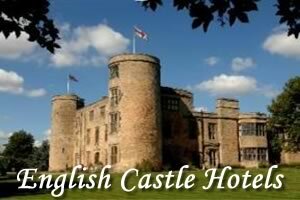 English Heritage - most of the monasteries in England are under the care of EH. Cadw- ditto for monasteries in Wales. and you can browse our own monasteries gazetteer for a wide selection of monasteries to visit.